Forest Charter School students at a recent sugar pine planting outing. TRUCKEE, Calif. — Since 2002, the Lahontan Community Foundation has supported local nonprofits that service the Truckee and North Tahoe region and have provided over $1.6 million in grant funding to help support their community. 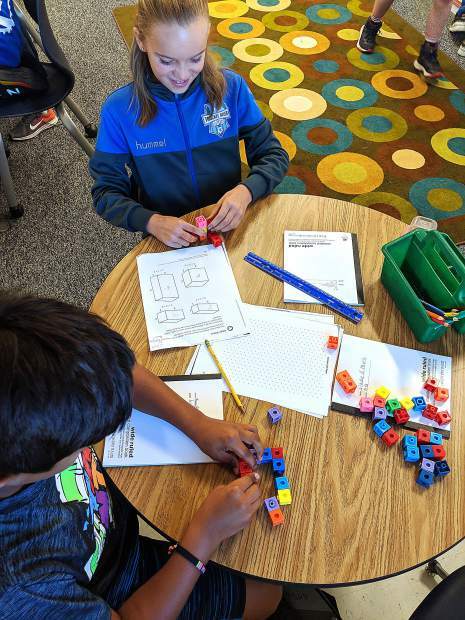 Last year, the Sugar Pine Foundation was a recipient of a Lahontan grant that enabled us to expand our outreach with educational and planting programs to new schools located within Truckee-North Tahoe. Since 2012, the Sugar Pine Foundation has been funded by the Tahoe Truckee Airport District to plant sugar pines at Waddle Ranch with schools and volunteers groups. Waddle Ranch is a very special place and we are grateful to be a part of its restoration. Sugar pines and other white pines are being decimated by a non-native invasive fungus called blister rust, and our restoration strategy is to plant seedlings naturally resistant to the pathogen. The Lahontan grant enabled us to take kids to more easily accessible urban lots for planting where school busses can go. With this grant, we partnered with Forest Charter School and Sierra Expeditionary Learning School in Truckee and expanded our partnership with North Tahoe School in Tahoe City and Tahoe Expedition Academy. 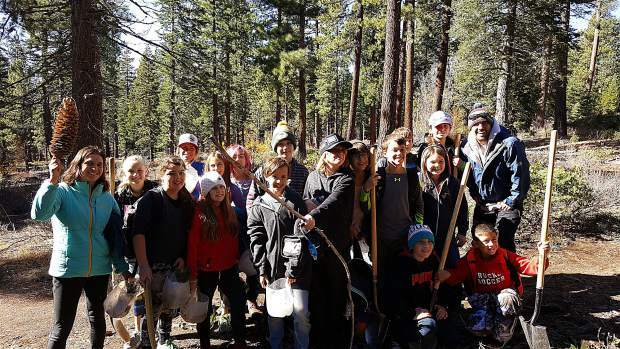 In total, over 200 students in the North Tahoe Truckee area were engaged in an educational, outdoor planting experience and helped plant 600 new sugar pine seedlings in the area. To provide the students with well-rounded environmental education activities, we often work with Sierra Watershed Partnerships and Tahoe Institute for Natural Science on organizing outdoor field trips. With the generosity of Lahontan Community Foundation’s grant, the Sugar Pine foundation is pleased to have our new partners in the North Tahoe Truckee region and look forward to fun and exciting future plantings. In 2017, we will continue expanding our reach by organizing planting field trips for Incline High School, Incline Middle School and possibly Alder Creek Middle School. The expansion of our “No Child Left Inside” program is funded by the Bently Foundation this year. We are excited to work with our old and new partners to get kids outside, plant trees and teach them about the natural world. If you are a school or a community group that would like to get involved, contact us. Maria Mircheva is executive director of the Sugar Pine Foundation. Visit http://www.sugarpinefoundation.org to learn more.